Welcome to the Bernisches Historisches Museum! 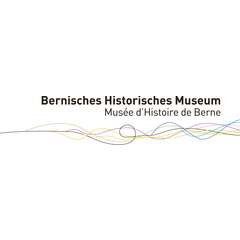 The Bernisches Historisches Museum is one of the most important Museums of cultural history in Switzerland. Our collections of history, archaeology and ethnography include approximately 500,000 objects dating from the Stone Age to the present and representing cultures from all over the world. The hydria from Grächwil, the Burgundian tapestries, the diptych from Königsfelden and a series of ethnographical objects as well as coins and medals are all internationally renowned. Besides these, other highlights of our permanent exhibitions include the spectacular Bernese sculptures, two Bernese mayoral thrones and much more. The integrated Einstein Museum offers an account of the life and work of the physicist and places it in a fascinating manner in the context of world history. Temporary exhibitions are regularly staged in the generously proportioned exhibition hall. "Women in power" at home? Il n'y a pas audioguide.